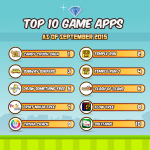 Your first task in this level is to release and use the key, that will fall above the screen. Maybe you’ll need to use a paint brush booster (that will be activated while clearing blocks of the level) in order to do it. After that rescuing the demanded number of pets is not a problem. The quite difficult part of the level is to get the 22.000 points. 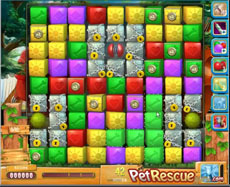 So try, simultaneously with pets’ rescuing, to clear large clusters of blocks in order to get more points. If trying to beat Level 534 we suggest that you watch this walkthrough video. It’s important to elaborate the tactic we are following!